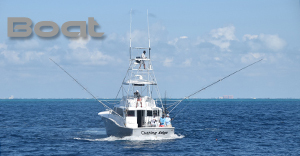 The Cutting Edge is Key Biscayne's finest sport fishing charter boat. 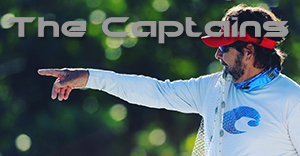 If you're fishing Miami and in search of a top notch sport fishing machine; allow us to show you the Cutting Edge style of sport fishing. 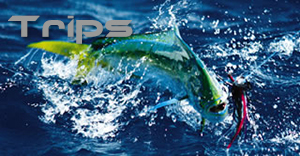 Combining experience and local knowledge along with our tournament successes, there really is NO OTHER CHOICE for Miami sport fishing. We are conveniently located five minutes from downtown Miami on beautiful Key Biscayne. Allow our professional crew to show you the time of your life while fishing on the Cutting Edge! We had a great day out with Cutting Edge. Captain Q and Ryan worked educated us about kite fishing, rigging the bait. Worked really hard to put us on fish all morning. Sails, Mahi Mahi, shark, and King! Great day! Our family went on an all-day fishing charter & had a blast! Captain Q, Ryan & Mike were pros & we caught lots of huge fish! A big Thank You to them for making my husband's birthday extra special! Capt Q and Mate Ryan worked their butts off to make for an outstanding day. Huge haul and tuna sushi for days! Please call and confirm availability prior to placing your deposit or click here to send us a message via our online contact form. All fish caught on the Cutting Edge are the customer’s fish and will be cut and bagged for you at the end of the trip at no extra charge. On the day of your trip, please show up at least 15 minutes prior to the charter start time. Your return time may not be extended for late arrival.